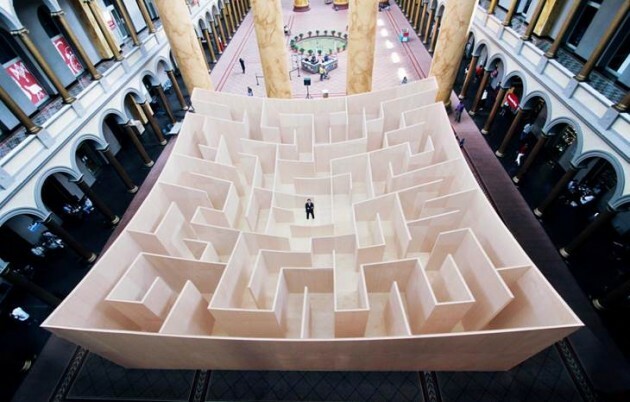 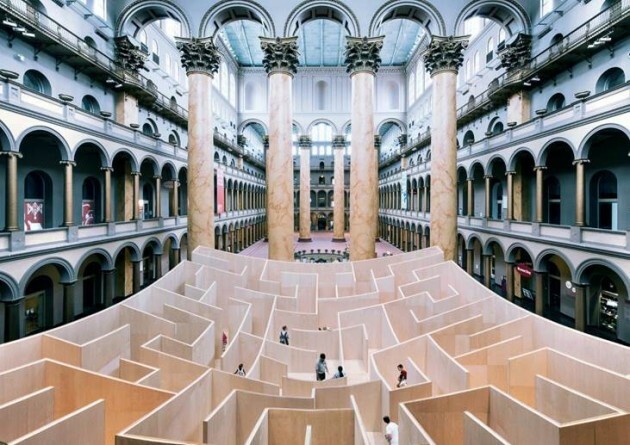 Inspired by ancient labyrinths, gardens and hedge mazes of 17th – 18th-century Europe, and modern American corn mazes, the BIG Maze is located in the National Building Museum’s historic Great Hall. 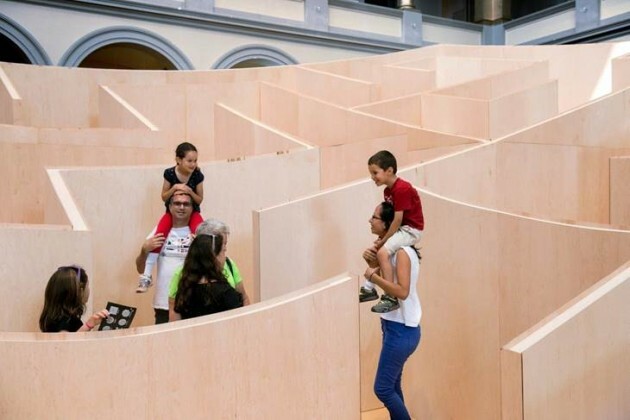 From outside, the maze’s cube-like form hides the final reveal behind its 20-foot-tall walls. 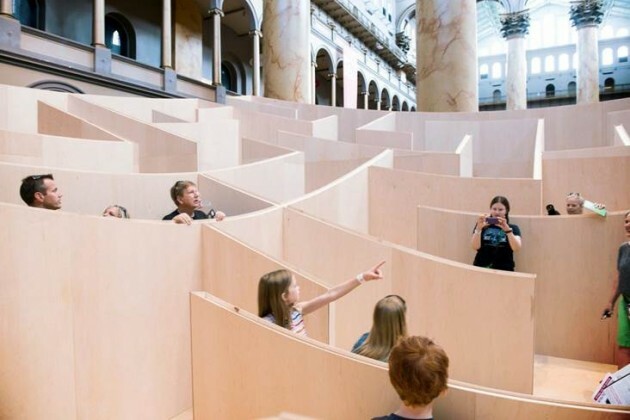 On the inside, the walls slowly descend towards the center which concludes with a grand reveal—a 360 degree understanding of your path in and how to get out. 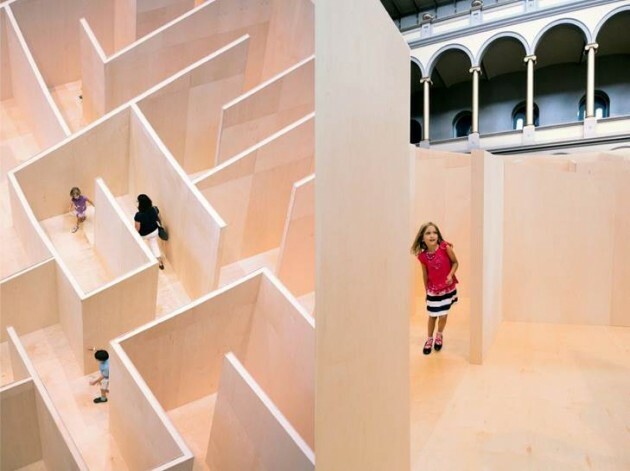 The 57×57 feet installation of Baltic birch plywood is open from July 4th to September 1st, 2014.